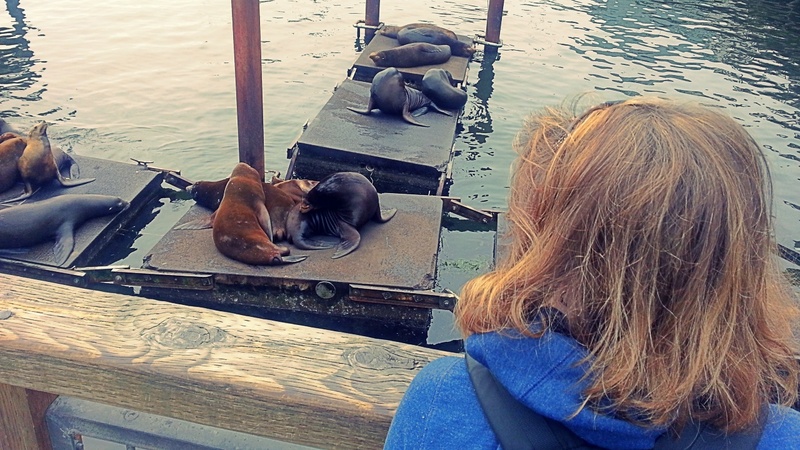 Oregon has a sea lion problem. When we went through Newport, OR last fall, we saw that sea lions appeared to be a welcome presence in the harbour. It looked like they had even built special platforms to accommodate them adjacent to the waterfront jetty. From there tourists could observe them close up, hear them and... uhm, smell them. At one time sea lions along the west coast were hunted to the point of near population collapse. Then, they were protected in an effort to increase their numbers. So successful was this campaign that their numbers increased ten-fold up and down the coast. Which is bad news for the salmon populations on which the sea lions feed. Which, in turn, is bad news for other animals that rely on salmon for food, such as orcas. It's thought that the declining salmon populations are having an impact on diminishing orca populations, including those as far north as our own Vancouver Island. Oregon has embarked on a plan to start re-locating sea lions away from rivers where salmon return to spawn. So, the guys and gals in these photos may soon find themselves being bumrushed out of town. Enjoy the view while you can sea lions!